What a wild ride 2018 already is. Kim Kardashian went wild on Instagram this week, sharing several photos of herself in various states of undress and refusing to apologize for her so-called "Bo West" braids after they came under fire for cultural appropriation. Khloé praised her sister for her "confidence," but not everyone was feeling the look. 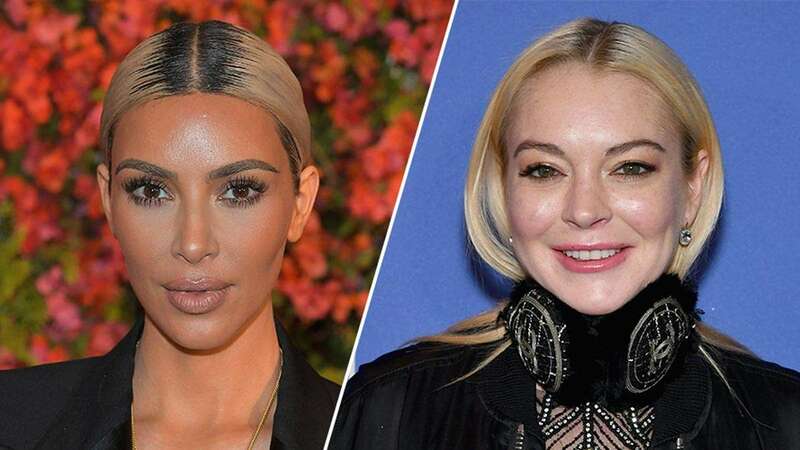 After Perez Hilton shared a photo of Kim's braids on his Instagram, Lindsay Lohan commented, "I am confused." Do you think Kim stood for this? Oh no, she did not. Replied Kim: "You know what's confusing...your sudden foreign accent." Kim is presumably referring to a 2016 clip of Lindsay that showed her speaking with an unidentifiable accent she'd never previously had. At the time, Lindsay told the Daily Mail that the accent was the result of her learning several languages at once. Lindsay's mother, Dina Lohan, backed up her daughter's assertion, telling Entertainment Tonight that Lindsay is a "worldly person."